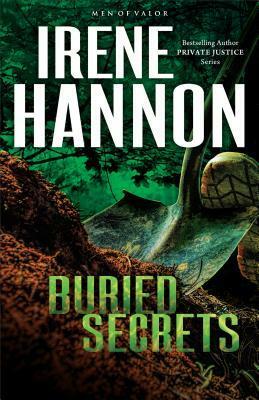 As a small town police chief, Lisa Grant expected life to be pretty easy and tame compared to her years as a homicide detective with the Chicago PD, but when a construction crew discovers unidentifiable buried remains on the outskirts of town, she calls in some help from county. When they send Detective Mac McGregor, an ex-Navy SEAL, she gets more than she bargained for. As the two of them work together to find out who the victim was and what happened, this cold case quickly becomes more than just another case to be solved. As the attraction and admiration between Lisa and Mac grows, they both are determined to stay professional until they close the case. As they dig deeper into the case, someone with a lot to lose seems determined to keep this case buried. I am such a huge fan of Irene Hannon; she is such a great storyteller when it comes to romantic suspense. Her characters were well rounded out and felt like people I would want to get to know and have as my friends. The beginning of the story wasn’t as attention grabbing as some of her other books but after the first third of the book, the plot got more exciting. I always love the way she weaves faith into her stories and the way she introduces characters that will be in the next books in the series. She is an expert at foreshadowing and introducing new characters. I would definitely recommend this book to anyone who enjoys clean, fictional, romantic suspense. I received this book for free from the publisher and NetGalley in exchange for a review.